Politically Correct: agreeing with the idea that people should be careful to not use language or behave in a way that could offend a particular group of people. Have you ever known someone that made you feel like you were walking on eggshells around them? You had to be very careful what you said because they might get offended? Have you ever felt that way living in the United States or any country for that matter? Society in the US has moved more and more towards exclusionary speech. The list of “outlawed” speech is growing at an exponential rate. I see this probably at a faster rate being a teacher in the public school system. Freedom is a great thing. Wouldn’t you agree? But the problem with freedom is it gives way to hurt and offense. The same thing can be said about truth. When truth is spoken, it can potentially cut us deep or even offend our conscience. The way to remove offense, therefore, is to remove freedom and truth. I know what some may be thinking: what truth are you talking about? Approaching it in this way is an example of the problem. I’ve written several posts that have brought this up but I feel compelled to once again. A society absent of set-foundational truth will be able to oppress its people with the ever changing cultural opinions. For example, in the United States, culture now deems it okay to choose your gender and marry people of the same gender. At other points in history, American culture has permitted slavery and segregation. For all of American history, the practice of abortion has been allowed. The reason for all of this is that the United States, and I would argue most nations throughout world history, has never been rooted in and steadfast in foundational truth. I know, a lot of people argue that this nation was founded on Biblical principles and that is what dictated decisions that our founding fathers made. If that were true, we wouldn’t have had slavery, abortions, and discrimination towards women (just to name a few) since the very beginning. Sure, there are many biblical principles that have been the basis for the US Constitution, the Declaration of Independence, and many other American documents, but to say that our founding fathers were some sort of super Christians is ridiculous. Our nation was founded with the same sort of problem that still plagues our nation today. It’s the practice of picking and choosing truth based on what is acceptable in society. In some ways our culture today is more in line with what the bible teaches than it was in the beginning. Women are treated far better, there is no slavery or child labor, we take better care of the poor, and there is much more opposition to abortion than there has ever been. On the flip side, we have much more misguided views on sexuality, marriage, and gender identity. For most of the 1800’s, it would not have been politically correct to speak out against slavery, abortions, or keeping women in “their place” through defined gender roles. Today, it’s not politically correct to say that you should love the gender that God made you to be, or that marriage is only between man and woman. My point is, the concept of being politically correct is based on a counterfeit truth that is determined by the culture and society at the present time. I say it’s counterfeit because truth doesn’t change. Truth is not relative. The only truth that exists is absolute truth. The only truth that has been absolute and unchanging throughout human history is God’s truth. The only source that has ever been validated (meaning it is backed by history, fact, thousands of prophecies coming true, and science) as God’s truth is the Bible. So, by extension, when political correctness contradicts the truth in the Bible, then political correctness becomes dishonest. And because it is dishonest, it is unloving. In today’s society, it is frowned upon to share salvation through Jesus Christ alone. It is politically incorrect to tell someone that there is one truth, one way, one source of life and hope. It is no longer acceptable to say that homosexuality is wrong even though the bible clearly presents God’s view of it. Apparently it’s wrong for schools to teach purity and abstinence before marriage although that is the heart of God expressed in the bible. God loves people way more than any person loves other people. Out of His love He gave us His truth. I highly doubt that God is concerned with political correctness, especially because it is often a direct insult to His truth. As followers of Christ, the last thing on our mind should be political correctness. Instead, we should be people of truth. Truth doesn’t waver. 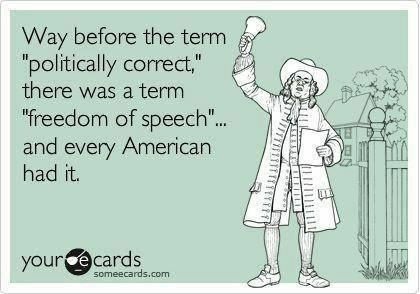 Political correctness does. Our lives should display love, be filled with compassion, and point people to Jesus. We should never compromise truth in order to not offend. Jesus offended people all the time. Just read the new testament. Our mission is one of grace, never with the goal to offend but to encourage a life in relationship with Jesus. For all of us, a life with Jesus means putting ourselves in line with His truth regardless if we think we know best on how to live our lives. The fact is, we don’t and Jesus does. Jesus is not political correctness, Jesus is TRUTH, and LOVE, and LIFE. He needs to be the compass of a society, a nation, and us as individuals. Until that happens, no follower of Christ will be politically correct and political correctness will simply be untrue. Very interesting! I was one of those who always thought our country was established on Christian beliefs, never taking into account women’s rights, slavery, etc. Just thinking those were issues that had to be dealt with over time. But, that took more than a century!!!! As I was watching the Olympics and saw a man from South Africa claiming to be a woman and was allowed to run in the women’s 800m. The announcers were commenting on “her” bravery. Although the women were not happy about this, they cannot speak out against it or protest due to political correctness. As Christian persecution increases in this country, and I believe political correctness is most definitely persecution, we must know what we stand for. It is very difficult to come against these things like gay marriage, abortion, no freedom of speech, etc. in love. It truly gets my dander up. As followers of Christ we certainly must follow His example and speak in love. But speak we must!!! God help us all to follow your example and be pleasing to You and maybe win souls in the process. Yes there certainly can be some very challenging things in society but I’m sure that has always been the case. I think when we view people in love it helps us speak in grace rather than feeling like we have to come against anything. After all, our mission are people’s heart for Jesus, not to sin. Thanks for sharing and keep up the prayers!